September 2015 – OK, Fine. There has been a seven-day selloff of U.S. biotechnology pharmaceutical stocks in the past week. Some in the industry say it was overdone and are already eyeing bargains such as Gilead Sciences Inc. and Amgen Inc.
Gilead has drawn negative press for it’s $84,000 Sovaldi Hepatitis C drug regimen. In Egypt, the same thing is reportedly sold for $900. Reuters writes that the Nasdaq Biotechnology index .NBI has fallen 18.7 percent over the last seven sessions. Investors took flight from bio-tech stocks after Hillary Clinton vowed on September 21st to take steps to curb high drug prices. Since its July 20th high, the index has fallen around 27 percent. The selloff was exacerbated by general market volatility as investors have been grappling with concerns over the global economy. Bio-tech stocks had risen 31 percent this year to their July high after annual increases for the last six years. They were also looking to be sold because they had become “richly valued,” states Reuters. Some right-wing websites have been looking at how Pope Francis – widely considered a liberal pope – was elected. The theory goes that a type of church “mafia” pulled strings to get him elected. “Further serious concerns are being raised about Cardinal Godfried Danneels, one of the papal delegates chosen to attend the upcoming Ordinary Synod on the Family, after the archbishop emeritus of Brussels confessed this week to being part of a radical “mafia” reformist group opposed to Benedict XVI. . .
“At the launch of the book in Brussels this week, the cardinal said he was part of a secret club of cardinals opposed to Pope Benedict XVI. The American Conservative writer Rod Dreher reportedly translated an Italian report that expains more. “The election of Jorge Bergoglio was the result of secret meetings that cardinals and bishops, organized by Carlo Maria Martini, held for years in St. Gallen, Switzerland. This, according to Jürgen Mettepenningen et Karim Schelkens, authors of a newly published biography of the Belgian Cardinal Godfried Danneels, who calls the group of cardinals and bishops a “Mafia club”. Powerline writes that this is not a secretly sourced claim, but it’s from an advance copy of Cardinal Danneels’ official biography, approved by himself. Powerline describes this as confirmation of rumors that had been going around for years. They claim that Benedict was ousted by a liberal conspiracy which forced him out of power. Russia is looking into furthering its military support of the leader of Syria, who is fighting ISIS. These are the two main sides of the war – fundamentalist Jihadi rebels (such as ISIS) on one side, and Bashar al-Assad (the ruler of Syria) on the other. The U.S. wants to support “moderate” rebels, who are supposedly against both Assad and ISIS, creating a 3-way war. A 3-way war is an interesting concept. How is this working out in real life? 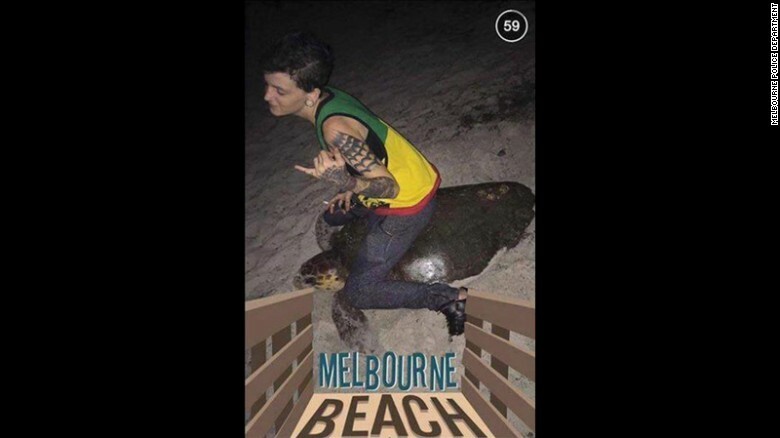 A 20-year-old Florida woman was arrested on Saturday months after photos in which she appeared to be “sitting or riding” on the back of a sea turtle went viral on social media, according to sources. 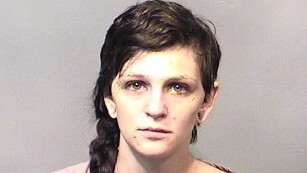 Stephanie Marie Moore has been wanted on a felony warrant since July for the “possession, disturbance, mutilation, destruction, selling, transference, molestation, and harassment of marine turtles, nests or eggs,” writes CNN. The photos taken on Melbourne Beach, Florida, “flooded social media networks,” said Sgt. Brian Hart of Melbourne police. For its part, Fox News has said Donald Trump is upset because the network cancelled an interview with him. The Donald has refused to back down from his boycott and he called for Lowry to be fined by the FCC. A physician in Buffalo, NY, known for being innovative was called into action on a flight from Spain to the U.S. It was the fourth hour of a seven-and-a-half hour flight when Dr. Khurshid Guru heard the call for a physician on board. A 2-year old child needed his asthma medication, but his parents accidentally had them packed in the checked luggage. He was apparently having an asthma attack. 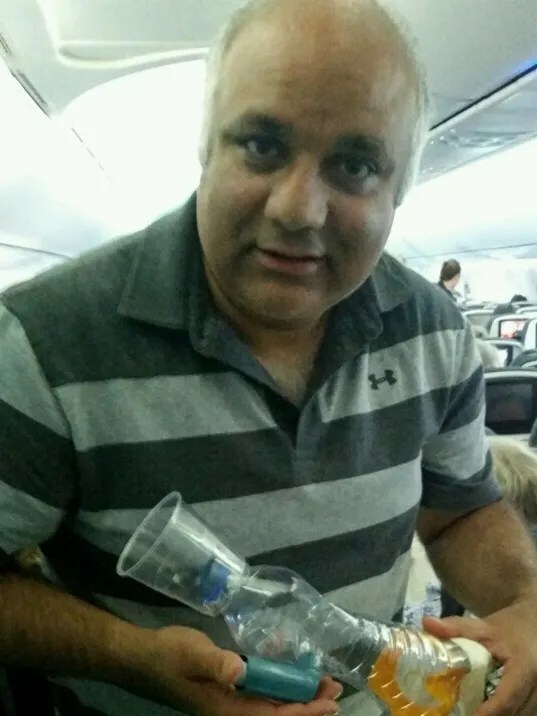 Dr. Guru was surprised there were no pediatric supplies on board. He used a water bottle, a cup, tape and an oxygen tank to connect to an adult “nebulizer” to save the child. The parents of the child did not speak English. but Dr. Guru said the mother was crying. Dr. Guru is the Director of Robotic Surgery at Roswell Park Cancer Institute in Buffalo. A few years ago, Dr. Guru and a co-worker from the University at Buffalo worked on one of the first robotic surgical simulators, called the RoSS. In November, he will receive the Thomas B. Tomasi MD, PhD Hope Award. On Friday, the day after the Pope’s speech to Congress, an aide to Republican House Speaker John Boehner said that Boehner will step down from his post and leave Congress effective October 30th. The Ohio Republican’s decision was sure to touch off a divisive leadership fight among House Republicans even as lawmakers hunt for a way to avoid a looming government shutdown. “There was no obvious successor,” writes Yahoo News. “The Speaker believes putting members through prolonged leadership turmoil would do irreparable damage to the institution,” the aide said. Speaker of the House is considered America’s “number three elected official,” writes Yahoo. The speaker, a lifelong Catholic, was visibly emotional throughout the visit, including the pontiff’s address to a joint meeting of the Senate and House of Representatives, a first. “Speaker Boehner believes that the first job of any Speaker is to protect this institution and, as we saw yesterday with the Holy Father, it is the one thing that unites and inspires us all,” the aide said. Almost from the start of his speakership in early 2011, Boehner faced an insurgency from Tea Party Republicans looking forward to shutting the government down. That prospect loomed large over his announcement because currently, a group conservatives are demanding that 2016 spending legislation strip Planned Parenthood of funding. That would trigger a showdown with Democrats and the White House that could lock up the process, shutting down the government, according to Yahoo.